Churches in America have now become the latest victim of the LGBT agenda, and it’s worse than anyone ever imagined. And if conservatives don’t stand up and speak out against the tyranny, the landscape of America’s churches will forever be tarnished. In addition, if LGBT activists get their way in the latest battle, Christians everywhere are in danger of the unthinkable. As Mommy Underground has reported extensively, LGBT activists are determined to force their agenda onto everyone else. They have no regard for anything sacred and have even heightened “drag queen” children to a national level. 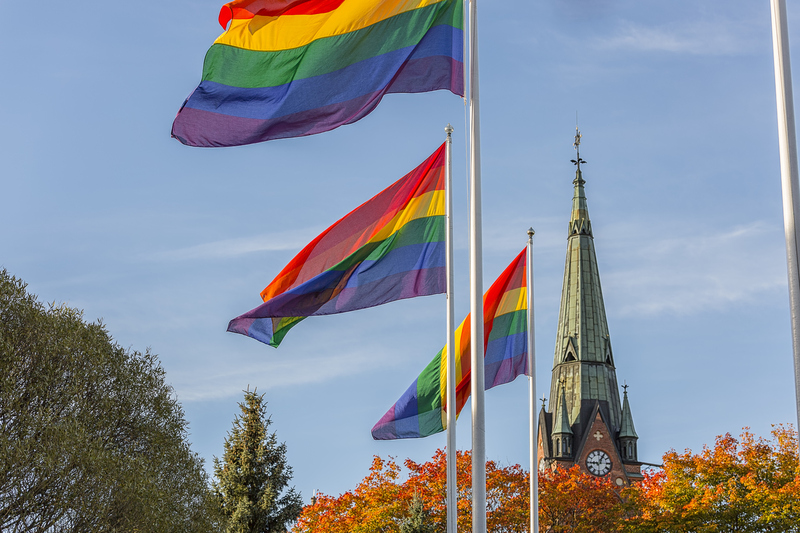 Churches were the last beacon of light standing bold against the LGBT agenda. Even though some choose to use the name of God to promote sin, Biblically-solid churches have no shame preaching from the pulpit marriage is between one man and one woman. Homosexuality is a sin, and while we are called to love everyone, the Bible never tells us to endorse sin. Which is why the latest attack on churches is unconscionable. It wasn’t enough for LGBT activists to sink their claws into innocent schoolchildren. Now they’ve made it into the church and forcing clergy to adapt to their way of life. But the problem is, it doesn’t exempt churches from their “anti-discrimination” clause! Which means, if a church refuses to hire a practicing homosexual, they could be fined. And churches can even face a penalty for refusing to have a “transgender” clergy member! “In a federal lawsuit filed against the city, the Houston-based U.S. Pastor Council argues that the lack of clear exemptions threatens to force 25 churches it’s representing to accept homosexual or gender-confused individuals even as clergy, as well as restricts their right to maintain longstanding restrictions on female clergy. Can you even begin to imagine the trauma and chaos hiring a “transsexual” clergy member would bring to the church? This is a clear violation of the U.S. Constitutional rights of the church. But none of this should shock Christians, although it is deeply disturbing. After all, Satan has been after churches and God’s people from the beginning. The cultural war between light and darkness strives to make “evil” good, and “good” evil. And while LGBT activists claim all they want is to live their lives in peace, this latest ploy shows they have a dark and hidden agenda. Christians must stand vigilant in prayer against the dark forces of the LGBT agenda. What are your thoughts on LGBT activists insisting churches hire women pastors and “transsexual” clergy members? How would you respond if this happened at your local church?